Come, join us as we seek out ways to support and empower one another while learning from women in leadership roles who are offering to get personal. Hosted quarterly, Strong Women, Strong Coffee welcomes women, wherever you’re at, and helps build character and strength so you can present the best versions of yourselves. Strong Women, Strong Coffee is programming offered in the Fargo community, brought to you by the North Dakota Women’s Business Center. Beverages provided by Red River Coffee Co. Breakfast included! 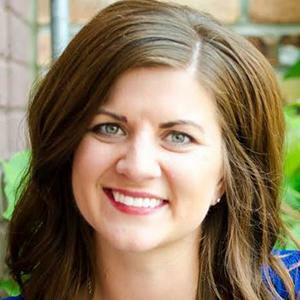 Danielle Teigen is the deputy editor at The Forum of Fargo-Moorhead. She graduated from NDSU with degrees in journalism and management communication as well as a master's degree in mass communication. She is an alum of the United Way's 35 Under 35 Women's Leadership Program and the author of "Hidden History of Fargo." She serves as president of the North Dakota Professional Communicators as well as president of the Hope Blooms board of directors. She lives in Fargo with her husband and two kids.